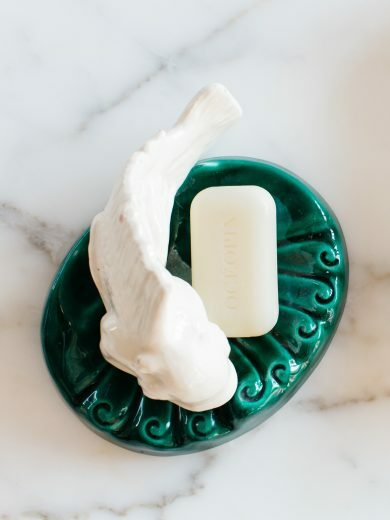 This ultra-moisturising soap owes its soft creaminess to its rich maritime pine seed oil® content. It gently cleanses and hydrates without being aggressive. It is organic and superfatted and cleanses all skin types, maintaining their balance and without drying them out. 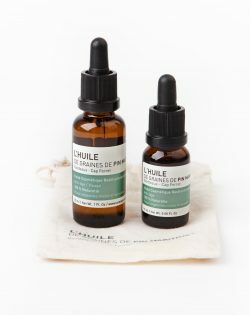 The delicate fragrance of this plant-based formula is reminiscent of the pine forest. Ideal for the whole family. 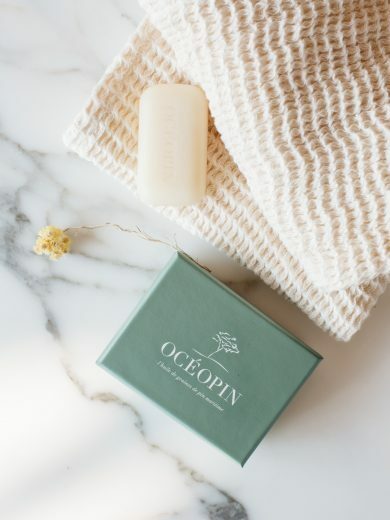 Presented in lovely packaging, this precious soap is available in two sizes. SODIUM PALMATE **, SODIUM COCOATE **, AQUA (WATER), GLYCERIN, SCENT (FRAGRANCE), PINUS PINASTER SEED OIL *, SODIUM CHLORIDE, TETRASODIUM GLUTAMATE DIACETATE, LIMONENE, LINALOOL. 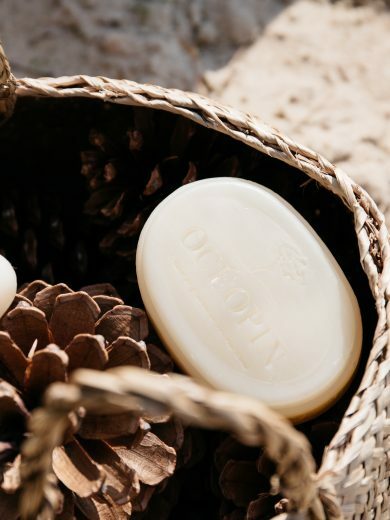 With its delicate, creamy foam and the virtues of pine seed and immortelle, this soap gently cleanses all sensitive skin types. Soothing and protective, this ultra-moisturising soap, brings new, subtle benefits to washing your skin. Apply to wet skin, rub to a lather and rinse off carefully with clean water. This ultra-moisturising soap is so soft, it can also be used to cleanse the face and remove foundation and blusher. To keep your hands looking beautiful, wash them once a day with your ultra-moisturising soap, then put two drops of maritime pine seed oil on the backs of your hands and rub it gently in. Your hands will be soft and the skin will regain its youthful softness! 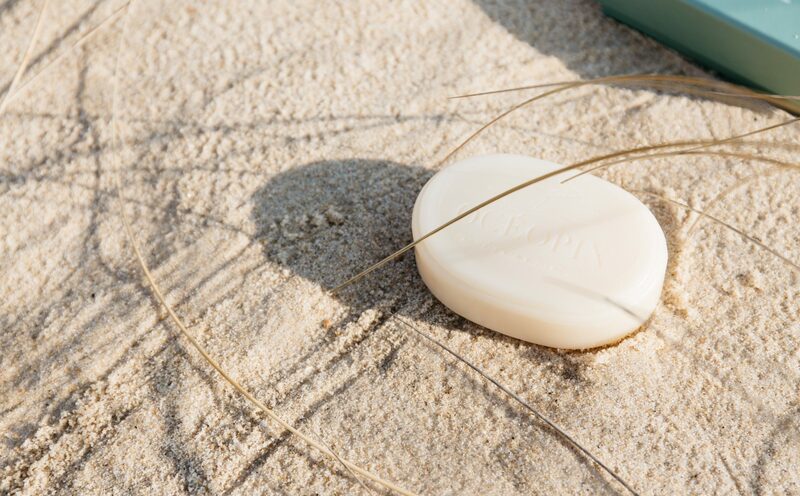 Delightful in a pretty bowl, this soap brings back real enjoyment to washing your hands and body with its scent of Atlantic sand dunes. A natural care product that can be displayed on the side of the wash basin or given as a present in its bell-shaped box.